While the birth of the Internet didn’t focus at all on user experience or even design for that matter, as the Internet matured and as applications for different technologies emerged, we collectively learned how to make things better and defined how we should interact with websites and applications alike. As more designers and developers start designing websites and applications that focus more on the experience users have, more information on how to improve user experience have emerged and more designers are able to watch closely how their design decisions impact the users who will be using these sites and apps. We are starting to move more into the why’s and how’s of user experience as we figure out that user experience plays an even more important role in the way we design websites and applications for a variety of different types of users. We take extra time to analyze how users navigate through our sites, how they go through the purchasing of something on their computer or desktop, and how they use our applications for work or play. The future of user experience design will help move us more toward refining the body of knowledge that is user experience design as we start experimenting with different interactions and interfaces, watching and studying how users use our sites and apps, and improving on the skills of which we’ve been working on for many years. Designers and companies alike are understanding how important design is to the success of their site, app, product, etc. With great design, designers and companies are also understanding that in order for great design to work and to achieve their overall goals, users have to have a pleasant experience. The field of user experience has exploded in recent years, however, so has demand for skilled user experience designers and developers. This growth trend won’t likely go away as companies and their competitors realize that user experience could be a make-or-break issue for the success of their products and services. Companies are looking for designers skilled in user experience to help them better their sites and applications and win over users and customers. The future of UX design will lead to more skilled designers who only focus on user experience, and companies who understand the importance and are willing to hire skilled designers to help them achieve that. With user experience design being experimented with and refined on most sites and applications, as this starts to become perfected the UX design itself will likely turn into its own product. We are forced not only to refine and perfect certain interactions (i.e. checkout process, application signup, etc. ), but we are being forced to look at all the interactions as a whole. It’s no longer good enough to have a great checkout process; it’s important that the user experience is perfected from moment a user clicks to your site all the way to when they complete an order, and it is just as important as the product that they purchased. In order to achieve this, every person on the project has to be on board. There is no longer a “handoff” of design to a development team to implement then to launch. User experience design now and in the future will start from the moment a project is started, all the way through launch, and even after launch with testing and refining. This requires everyone on the project to be conscious of user experience and work toward the same goals. With a perfected user experience for a website or application, the focus turns to how easy their site or app is to use, giving them the edge against their competitors. For most users, choosing between one app over another that do the same thing, they often stick with the one that is the easiest to use and gives them the most pleasant experience. When designers start looking at the user experience of their site or application, they often look at the broad scope of the site, or how a visitor will take a series of steps to achieve what they seek out to do. 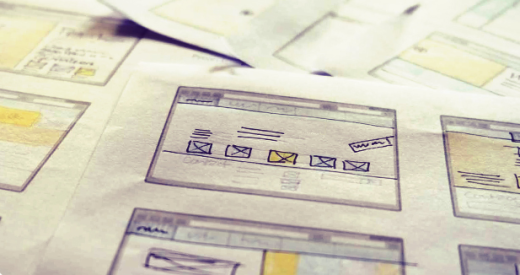 UX design will start to move more toward watching the details and designing them so every detail of the user experience has been scrutinized and perfected. For example, while attention is often put on how many screens or clicks a customer will go through to place an order on a website and try to limit how many clicks they make, in the near future attention will shift toward making each screen and each click perfect so that the user experience feels more natural. Looking for small details that can be refined and perfected can often mean the difference between a customer buying from our website compared to a competitor. Users of our sites and apps expect more from us, so when we refine the small details, our users notice them and in turn makes their user experience more pleasant. The future of user experience will force designers to create designs and systems that will last simply because they are designed with the user in mind and have been refined to the point of perfection. With so many resources and manpower behind launching a website or application with user experience being a focal point, these sites and apps are launched with user experience already accounted for throughout the entire process. When there are no lapse or major issues with user experience, then the designs that were created and developed no longer start to age as quickly as they have in the past. Putting in the investment and time in the early stages of a new product where it comes to user experience often pays off in the long run because companies aren’t launching sites or apps that are terrible to use and annoy users and having to redo these sites and apps so frequently. User experience design is starting to move toward more of an overall experience than just the experience on a site or app. Companies who spend a lot of time and money to make sure their customers are happy in their stores, for example, are now focusing on how to make their sites and apps work the same away and bridge the two together. In the future of user experience design, users will often be served exactly what they need when they need it. For instance, a reading app designed to hold your place and pick up where you left off no matter which device you were reading on last. Users won’t have to hunt for where they stopped reading on their phones to start reading again on their iPads. With websites and applications that can help users make decisions, do their work better, shop smarter, etc., the user experience becomes more whole and complete, allowing for the design of the site or app to endure changes for users before the need is anticipated. The future of user experience is growing rapidly and remains strong as designers, developers, and those who hire them realize that user experience is becoming just as important as the product or service in which they are promoting. User experience and its body of knowledge as a whole is being refined and redefined as we learn what works and doesn’t work and how to overall best serve the users in which we design for.